Crowdfunding is powerful because it transcends finance; the mechanism is a vehicle for marketing, innovation, market validation, sales, intrapreneurship – functions that are essential to the survival of all businesses, large or small. While crowdfunding was originally seen as a mechanism for entrepreneurs to raise capital for startups, we are now seeing how it can be used by multinational companies to transform their operations. 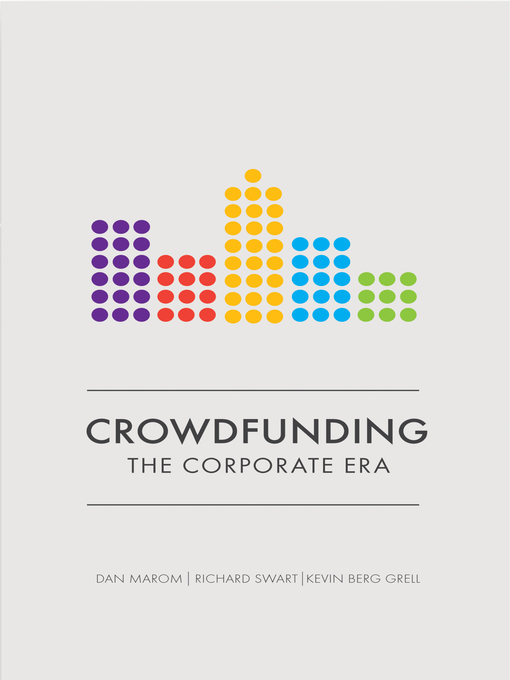 This book – the first to tackle the subject – will show you how innovative global corporations have started to use crowdfunding, and how your business might also benefit. It is essential reading for all corporates, from midsize to multinational. The first era of crowdfunding was defined by the entrepreneur; the second will be defined by the enterprise.